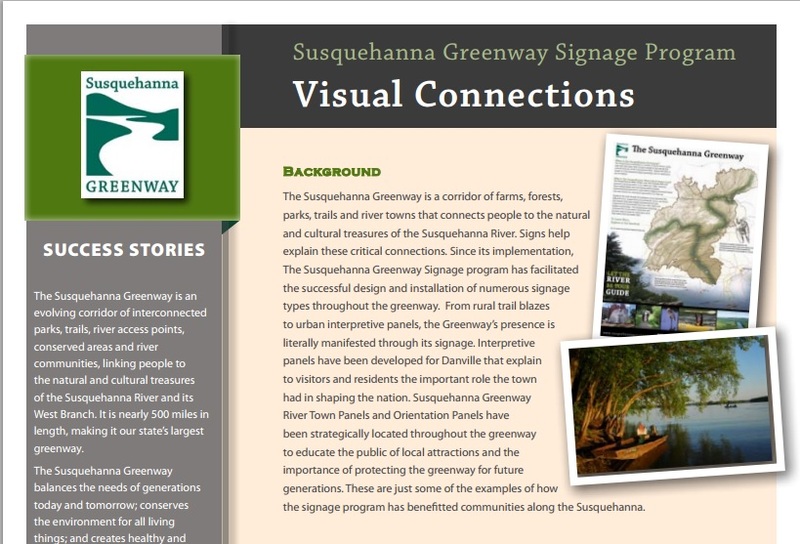 Our vision is for a Greenway that connects neighborhoods, parks, towns, and historic places along the Susquehanna River. 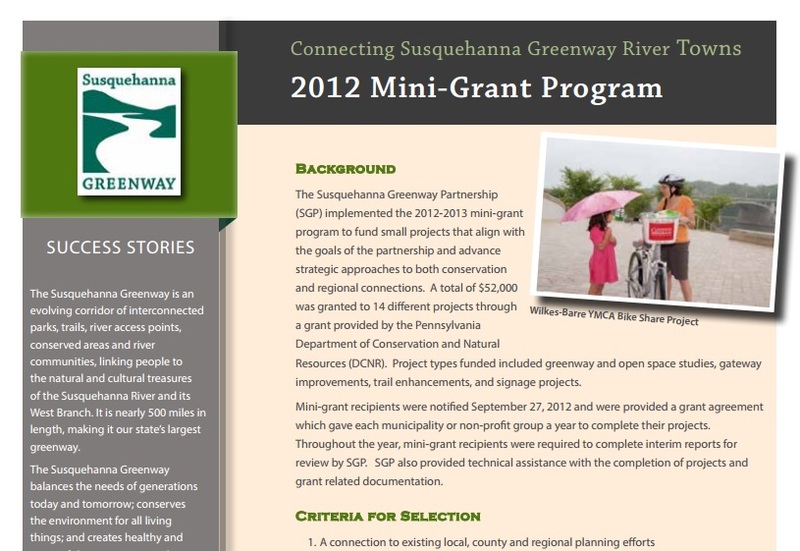 We work with local leaders and volunteers to make it possible to walk, bike, or paddle over 500 miles along the Susquehanna River. 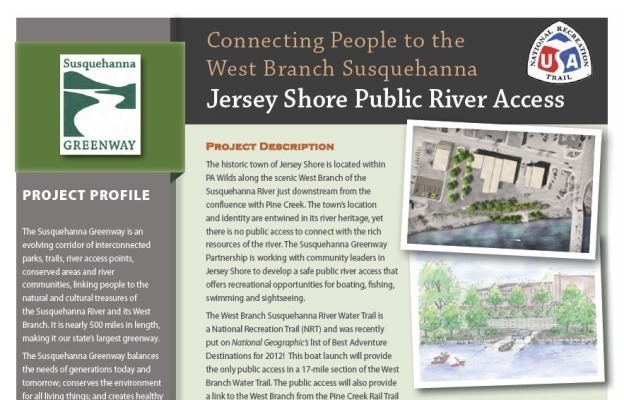 The Susquehanna Greenway Partnership is working with community leaders in Jersey Shore to develop a safe public river access that offers recreational opportunities for boating, fishing, swimming and sightseeing. 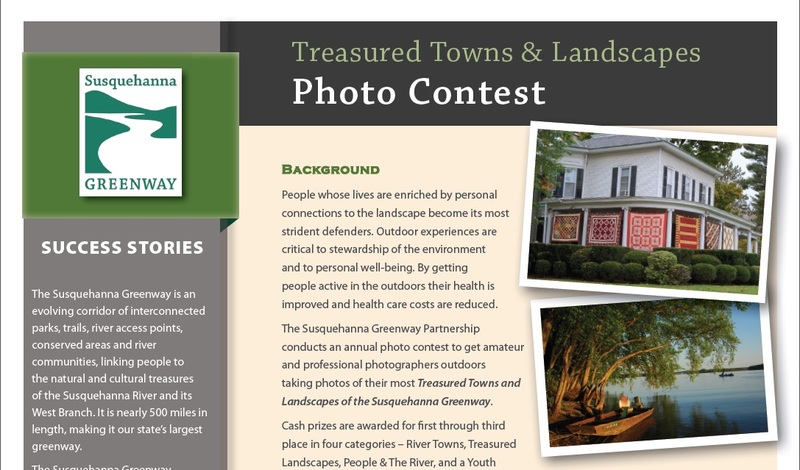 shared along the Susquehanna River.